From Batuburan to Singapadu, there is the theme park with 2ha site that boasts more than 1000 birds from over 250 species; Bird Park & Reptile Park. 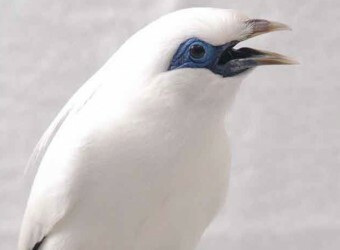 There are rare birds which usually cannot be seen, and when all is said and done, the most special bird is Jalak Putih (Bali Starling), only specie of Bali. Reptil Park has many reptiles such as crocodile, iguana, komodo dragon, etc. I love birds! I bought a telescope to use when I go to bird park.LOL It was a lot of fun to observe the birds. Bali starling!! I hardly tried to find Jalak Putih.LOL I was very satisfied I could see it.